Every resident of legal age of the Municipality is required to secure this certificate yearly. 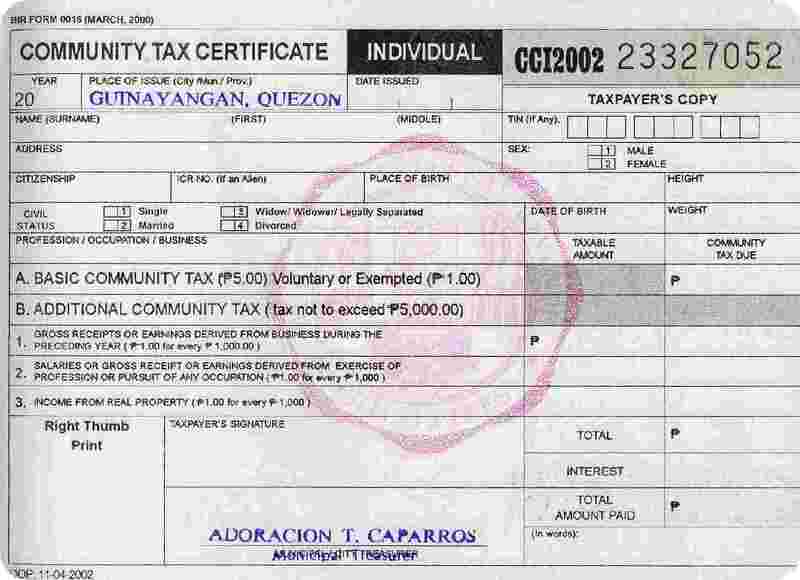 The basic community tax fee is five pesos. If a person is working, an additional one peso for every 1,000 pesos of his gross annual income is added. This is secured during the first month of the year. If the Community Tax is not paid within the first quarter of the year, an interest is added to the basic fee. Income generated from this are usually added to finance local programs and projects of the Municipality.